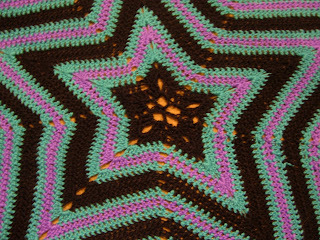 Here are my crafty resolutions for 09! 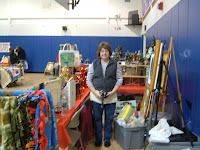 -ORGANIZE MY CRAFTING!- If you’ve seen my crafting corner(s) you’ve probably shook your ahead and then quickly averted your eyes. -Improve my Resin endeavors- Measuring isn’t for me I try to never do it even in *GASP* Baking! 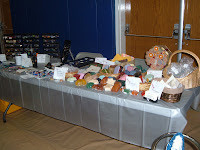 -Make Amazing bath bombs- my last/first batch was ho hum, good and amusing but I want to take them to the next level! 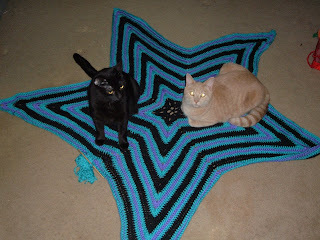 If there is any way I can help you meet your crafty goals? Let me know! 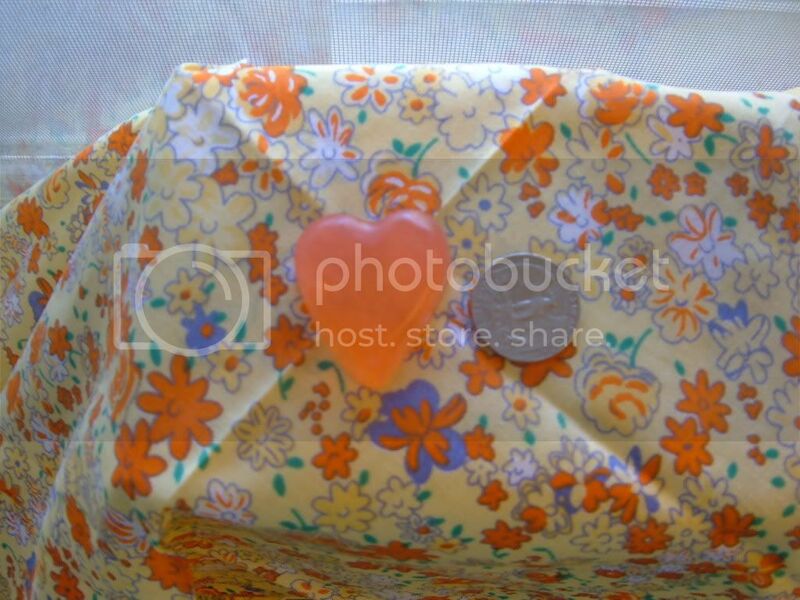 Crafters should be here for each other, its one big family of creativeness! Be safe tonight and lets start enjoying the NEW YEAR! Christmas and Hanukkah were a lot of fun! I hope your holidays were/are too! We made it to the tree- Me and the hubby are above. I got a ton of paper crafting goods from my parents for Christmas so I'll just have to make up some new projects to test them out :) And the fella came through and got me a killer camera so hopefully from here on out the pictures get better and better! Oi! what is going on in the Capital Area!? Storms are coming all over the place (we are supposed to get a couple feet of snow tomorrow). Which when power is provided is great for crafting when it is not it is stressful and craft deprived.... the sadness. 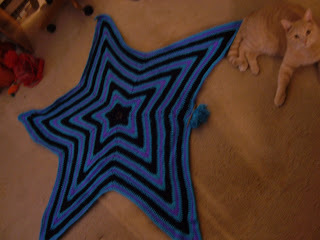 Well I'm dieing to show off some of the Christmas/Hanukkah presents I've whipped up but I am holding back. 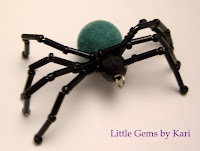 I do have a new spider buddy pendant though! She's got a fuzzy rump, she creeps out the hubby but I think she's cute! Bead Studio had a very helpful tut on how to make your own: http://www.beadstudio.com/info.php?a=1018 . Cross your fingers for me we should be headed down to NYC this weekend to see the tree in Rockefeller Center :) If this gets snowed out I'm hibernating until July! Due to the fact that this ice storm has knocked out our power, water, and heat (currently typing from my in laws) the 1st annual Little Gems Party has been CANCELED. Hopefully we can reschedule after the holidays. Saturday, What are you doing? So what are you doing Saturday? I'm having my first Little Gems party at my casa starting at 1. 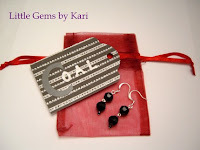 Send me a message if you want directions littlegemsbykari@yahoo.com the more the merrier! There will be a free gift for all those who attend and a door prize! 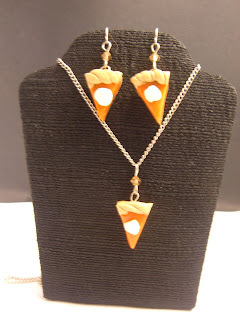 I'll have all my goods for sale (including my new lump of coal earrings above- too funny right?) along with some snackies to munch on so come over to check out my Christmas decorations and if you'd like do some last minute holiday shopping! So not that I don’t want 5 golden rings (white gold please) but what the heck can someone do with Lords a Leaping and Ladies dancing (besides start a joint on the Vegas strip). Not to mention it now cost $21,000 to gather up this bounty. I was thinking today if I was making my own 12 days of Christmas what would I be singing about? I have other alternates, but who doesn’t?! What would yours be? Polymer clay is honestly so addicting, I can't believe it isn't illegal. I've been trying my hand at a bunch of techniques but mostly it is play doh for adults. Some people make the most amazing things I am still dabbling. http://glassattic.com/ is a great site for any questions you may come across. I'm trying to decide if I should try to do tutorials on here or if just showing off and giving resources is the way this blog should go. Opinions? 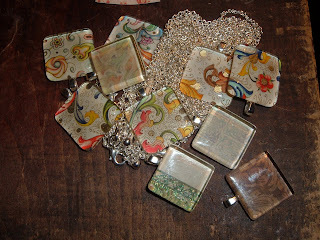 I've got a few more craft shows coming up, if you are in the neighborhood I'd love to see you! November 15th at AVCS in Clintonville and December 6th at St Augustine's. 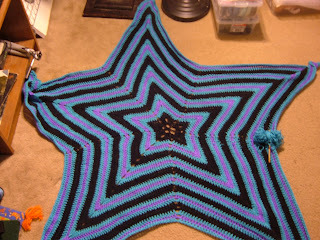 Next up the star blanket I'm crocheting. I might actually keep this one for myself!!!!! I've been influenced by a number of my friends starting their own blogs and have decided to share my love of everything crafty this way! 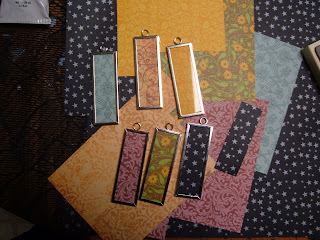 So, to start this off I've made some lovely fall soaps (above). Fun and funky melt and pour. It is unbelievablely addicting. I get the majority of my supplies on http://www.brambleberry.com/ they also have some great tutorials. 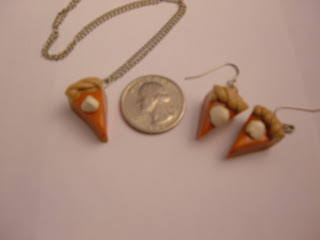 Next up some pumpkin pie polymer clay earrings and necklace! Happy Fall!! !